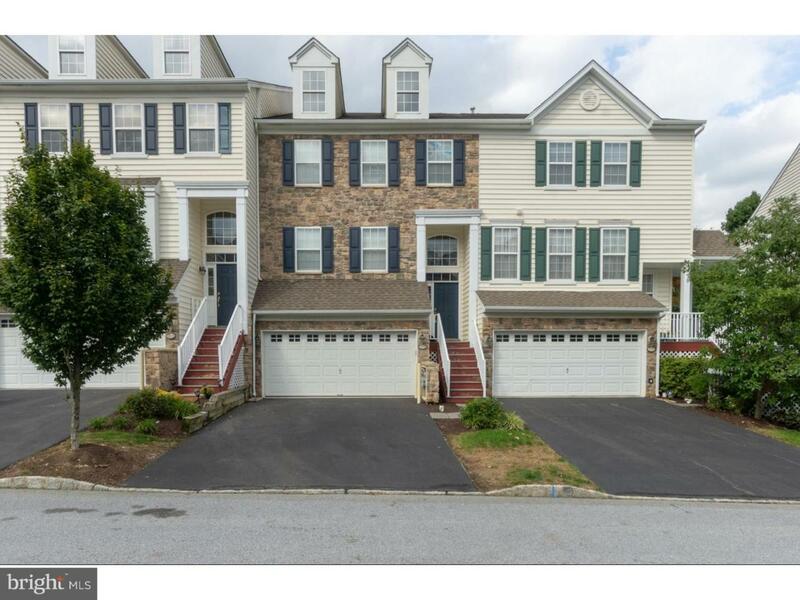 Great townhome with 2-car garage in Reserve at Chesterfield. Located in a stellar location, on a cul-de-sac, in the award-winning West Chester school district. This unit offers natural light and a spacious feeling. The kitchen has everything you need from granite countertops, an oversized island, hardwood floors, pantry closet, new tile backsplash, all brand new appliances, and a breakfast room. Kitchen opens to the cozy family room with 2-story ceilings, hardwood floors, and a warm gas fireplace. Both the living room and formal dining room boast gorgeous crown molding. The powder room with pedestal sink completes the main level. The upper-level master suite is elegant with tray ceiling, walk-in closet, linen closet, and a dressing/sitting area. The spa-like master bathroom features double sinks, a Jacuzzi tub, shower stall, and tile floor. Don't worry about bringing all your laundry downstairs because in this home you have a convenient second-floor laundry room! Two additional bedrooms and a full bath with tub/shower can also be found on this level. The lower level is a completely finished walk out with a partial bath and slider to the rear yard with front access to the garage. You can sit on your deck and entertain, or just relax. This property is waiting for a new owner to add their own personal touches! The home is located within award-winning West Chester School District, convenient to major transportation corridors, fantastic shopping, the borough of West Chester - and its wonderful restaurants and festivities - with beautiful parks, swim clubs, biking trails, and open space nearby. Convenient access to Chester, Delaware, Montgomery, and Philadelphia counties and all they have to offer. Home includes a brand new HVAC system.